Automatic Door and Hardware offers the greatest selection in automatic door wireless radio controlled transmitters and receivers. From wireless handheld key fob transmitters, wireless push plate transmitters, or radio controlled receivers, you are sure to find the matching automatic door wireless controls for your job. We stock 300 MHz transmitters, 390 Mhz transmitters, 433 MHz transmitters, 900 MHz transmitters, 915 MHz transmitters, and many more. Automatic Door and Hardware offers the top brands in automatic door transmitters and receivers including BEA transmitters, MS Sedco Clearpath transmitters, Curran Engineering transmitters, Camden Door Controls Lazerpoint transmitters, Larco transmitters, Horton transmitters, and much more. 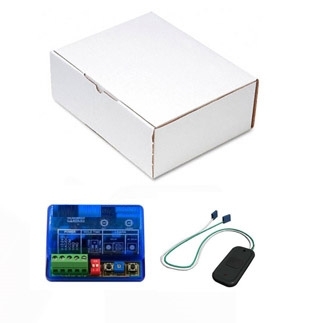 We offer our customers a complete line of automatic door transmitters and receivers to choose from, so please select the automatic door radio controls which suit you best. Find the right automatic door handicap button transmitter or receiver in stock and ready to ship. Automatic Door and Hardware is your best source for automatic door radio controls.